Size of this preview: 488 × 599 pixels. Other resolution: 731 × 897 pixels. Description Mega Guy. 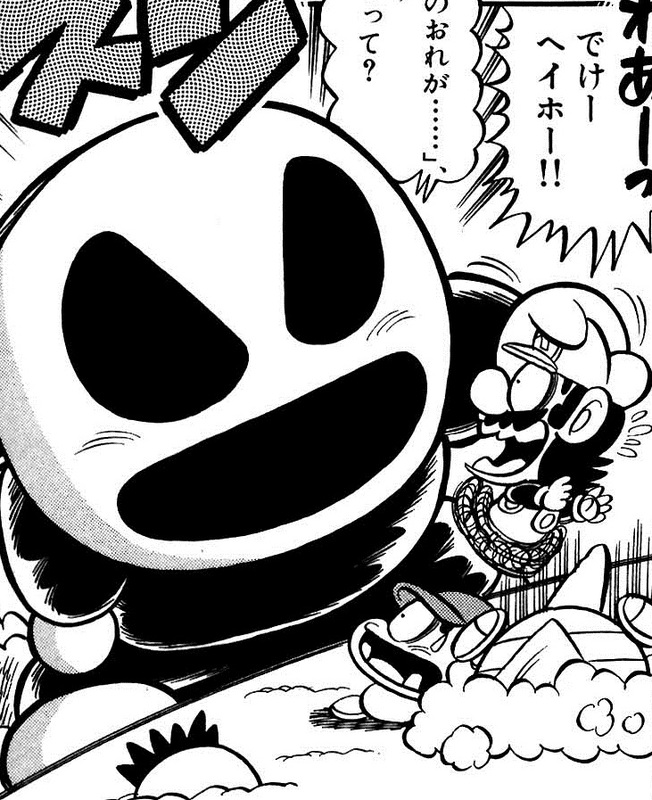 Page 41, volume 26 of Super Mario-Kun. This image is a panel or sequence of panels from a comic strip or the interior of a single issue of a comic book and the copyright for it is most likely owned by either the publisher of the comic or the writer(s) and/or artist(s) which produced the comic in question. It is believed that the use of low-resolution images of a sequence of panels from a comic strip or an interior page of an individual comic book to illustrate the scene depicted, or an important aspect of the copyrighted character(s) or group(s), which is depicted on the excerpted scene in question, where no free alternative exists or can be created, qualifies as fair use under United States copyright law. See Wikipedia:Non-free content for more information. This page was last edited on December 15, 2014, at 00:44.